The bouncers here are almost incapable of holding down any level of conversation and seem to spend more time frowning and grunting as a means of communication. I think it's far too over-priced for what it is and for what you get.. There is one problem with the night-life in Woking. There aren't any clubs (unless of course, you want to hang around with yellow-stained teeth women and bored, middle-aged lorry drivers' wives - If so, then head to the Chameleon). It's simply not worth a visit. If it's a club you're looking for, spend eight minutes on the train and go to Guildford. If you live in Woking, then you may find yourself having to spend £20 on a taxi back... 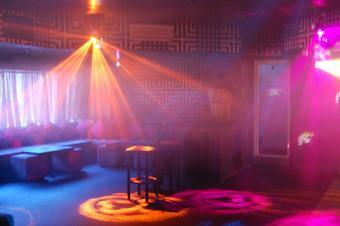 But believe me, it's worth spending that money to avoid the artificial club scene in Bed Bar. Another one bites the dust. Not many pubs in Woking anymore. To break away from my usual Friday night routine of �too much bed, not enough sleep� with the missus, I came here last Friday night (Feb 11) to watch the band Soul�d Out. For my 2011 Woking night out debut, I was most impressed with bed bar. Arriving at around 9.15pm, it was free entry with no ID issues from the belligerent bouncers. We were served straight away at the downstairs bar by the attentive member of bar staff, where a Magners and single vodka lemonade came to around �7.40. The band was excellent and there was a host of different age groups of people in here, with the atmosphere relaxed. I later paid �5.50 for a bottle of Corona and a coke, so as with the drink prices above, make what you want from that if anything about the prices of drinks in here. Only popped upstairs to use the toilet, though it seems lively enough and there is even a balcony section for smokers! Overall, a decent enough bar in Woking with late drinking and I would certainly come here again � even over going somewhere in Guildford - on a Friday night for instance. This place looks great, but... I wouldn't say there's too much else to rave about, the music is usually alright, particularly a couple of the live bands, and some of the cocktails are nice (and cheap early on). Other than that, the bar staff aren't hugely friendly (even when quiet) and the general atmosphere leaves a bit to be desired. I'm happy to pop in occasionally on a night out but wouldn't want to stay for the duration.